This section features all of our Happy Birthday Comments. So if you�re not sure if you'd rather send Birthday Balloons, Virtual Birthday Flowers or Cake or just a funny Happy Birthday Joke, this section will let you browse through all of our Birthday Comments and Glitter Graphics. 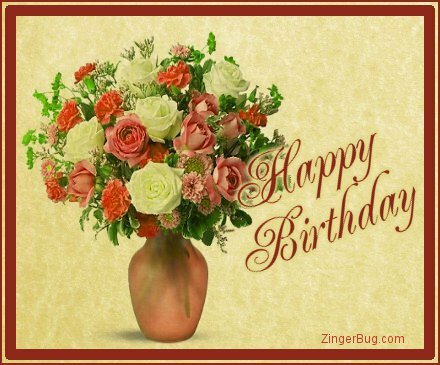 We have a HUGE selection of Birthday Greetings for Friends and family. These images are free for your personal use for email, your phone, or to post on any website, social network page or blog.